Maynard Jackson kicker Jack Breedlove finalized his recruitment today with a commitment to Rhodes College. The Class of 2019 kicker had a bit of a following on social media over the last few years, which can mostly be attributed to his relentless work ethic. It became almost a nightly routine during the offseason, where was Jack going to be kicking from next? During his constant touring of colleges, or stopping by small high schools sprinkled around the south, there was a good chance to see Breedlove posting a video of him kicking in new surroundings. 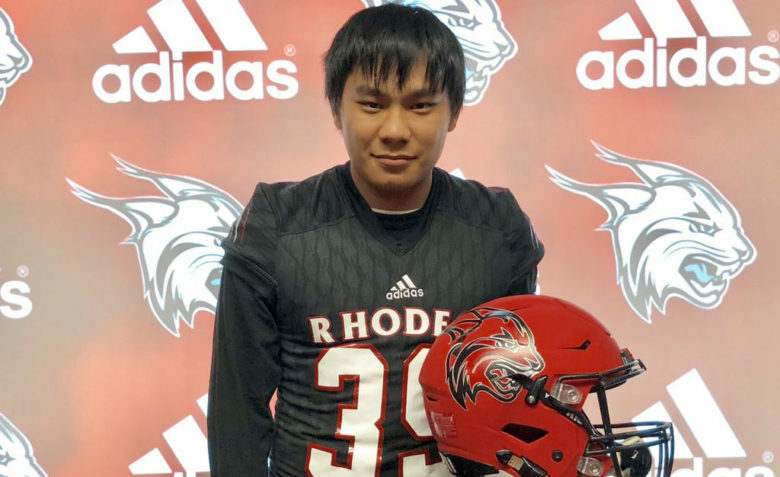 The 2019 recruit took the recruiting process with a professional approach, so there is no real surprise that the strong student-athlete would choose a high academic school like Rhodes College. Breedlove sports over a 3.5 GPA taking advanced placement classes and is also an Eagle Scout where he is extremely active in the community. Rhodes College is getting a commitment from a kicker who is absolutely dedicated to his craft. It was just a month ago that we saw Breedlove participate in three different All-Star games in one weekend. He can kick the ball from 55 yards out with no tee, and in all honestly, was a player we projected to land at a higher spot. The senior was 4 for 5 on the season with a long of 52 yards. He knocked back 75% of his kickoffs for a touchback. Breedlove made the first ever field goal to be made in the brand new Mercedes Benz Stadium and his high school coaches rave about his ability to kick under pressure. Breedlove’s use of our free service is a textbook example of how to take advantage of the Recruit Georgia network, and we wish him the best of luck in college. Jack you are awesome. Best of luck in your football career.